SUMMARY: A British prisoner of war is forced to help build the Thai-Burma Railway and is nearly tortured to death. Decades later he confronts his captor and extends the only gift that will set them both free… forgiveness. 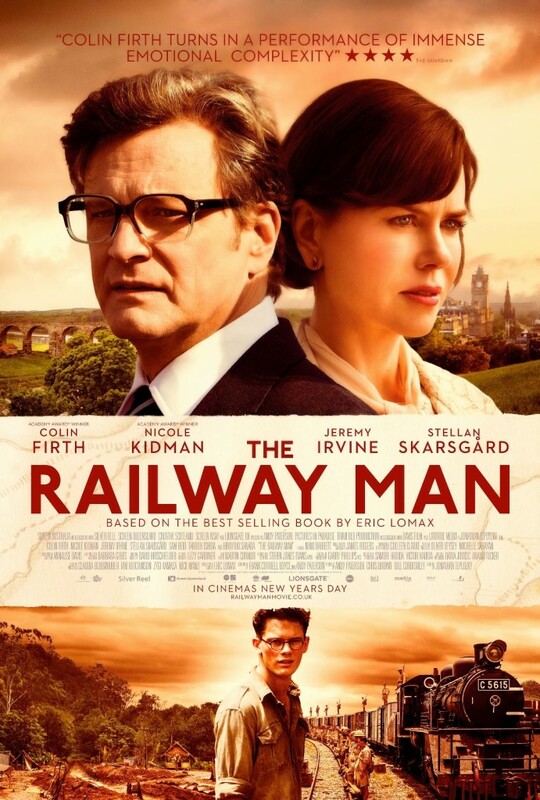 DETAILS: Based on the true story of Eric Lomax (Colin Firth), a British Army Officer who is captured during World War II by the Japanese and forced to help contstruct the Thai-Burma Railway. The film cuts back and forth between 1980’s England where Lomax and his new wife (Nicole Kidman) struggle to overcome his horrific war memories and the POW environment of the 1940’s where he was tortured beyond imagination. Along the way he realizes there may only be two ways out of his pain – suicide or revenge, so he sets out to find the one who played a key role in his torture and enact his retribution. In the process he realizes that his captor has been tortured by the wartime memories as well and that perhaps there is a third option that may lead to freedom for both of their tortured souls… forgiveness.